Nashville has been on my list of cities to visit for a long time now, so when Mike surprised me with an anniversary trip, I was SO excited to explore. I sought out my lovely readers’ help for what to do and where to eat, and in a short 3 days, covered a good amount of ground! 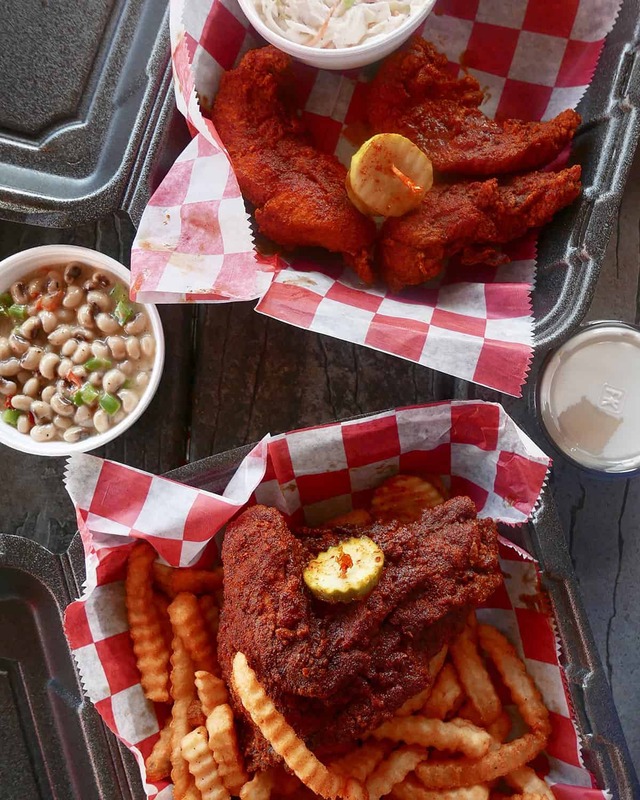 If you’re looking for what to do in Nashville, and especially where to eat, I have you covered! We stayed in 506 Lofts which was seriously an amazing location. It was right on Church Street, and in walking distance to Broadway, the Ryman, and so much more. The loft is an industrial-modern style loft great amenities. The loft was clean, delicious snacks were there for us upon arrival, a french press with Frothy Monkey coffee, there’s a full kitchen, a laundry room in the building, and more. This is a great option for a stay right downtown in the city. I probably would be inclined to stay here without kids, because I think if I had children I may want to stay in a more family-oriented place, but we LOVED staying here. The location and the fun vibes of the loft (bonus points for the robes and slippers) were perfect for our stay. Frothy Monkey (coffee)– We got coffee here each morning and were lucky since it was right around the corner from our loft! There also is a location on 12 south. I did hear they have good food too, but we didn’t try it. 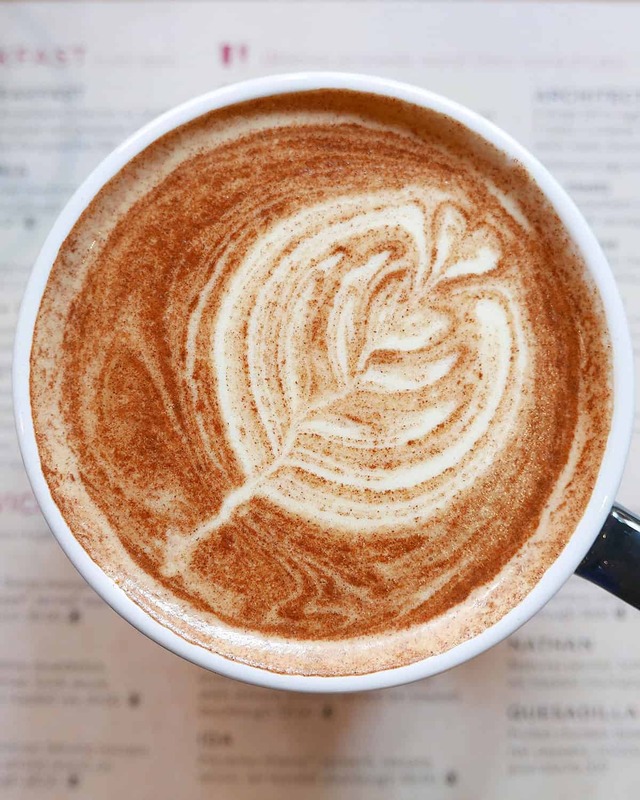 The Turmeric Latte (add espresso) made with almond milk was AMAZING. Their cold brew iced coffee was great, too. I think a re-creation is in the works for that turmeric latte. I’m sad to not have it this morning! 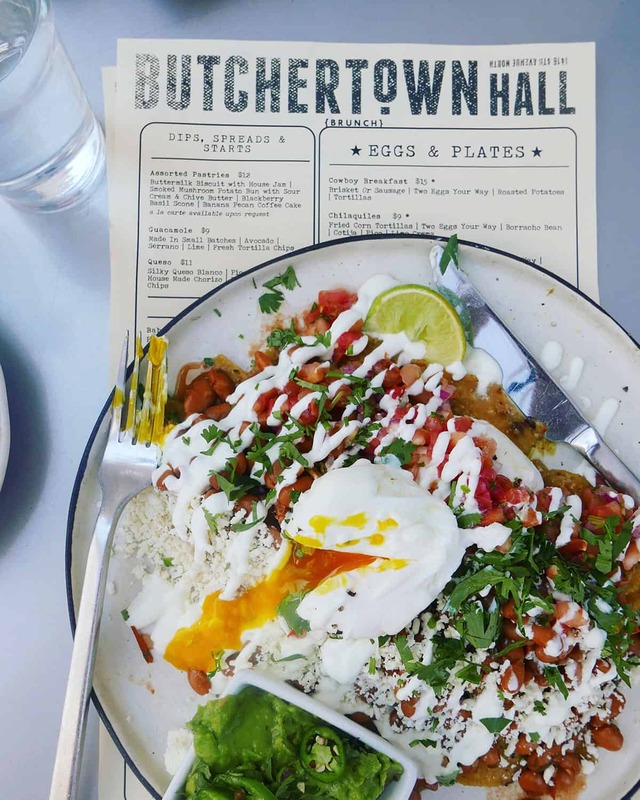 Butchertown Hall (brunch)– We loved brunch at Butchertown Hall. I got the chilaquiles with poached eggs and Mike got the sirloin steak stuffed poblano with poached eggs. The service was fabulous and the vibes were even cuter! 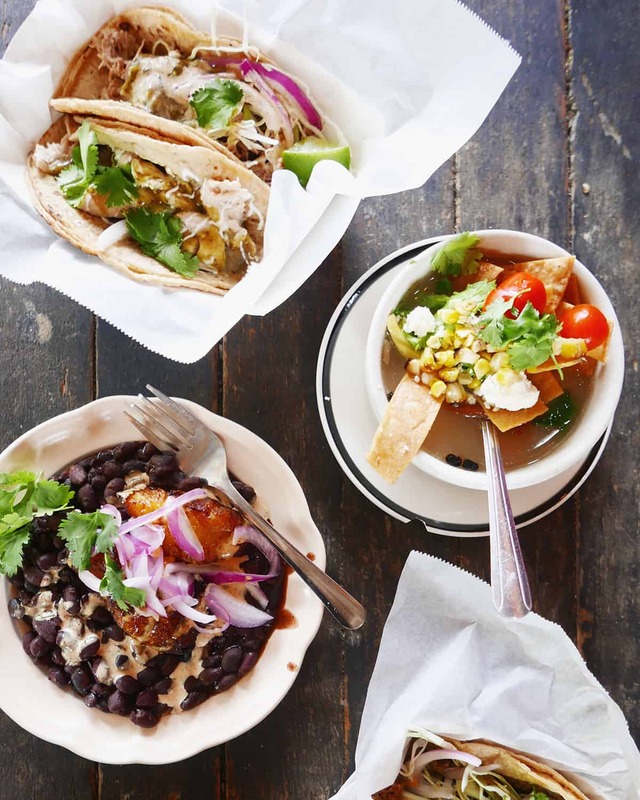 Mas Tacos (lunch)– Okay, this is a must. I was recommended to go to two taco places: Bartaco and Mas Tacos. I’ve been to Bartaco in a few other cities, so I didn’t feel the need to go in Nashville, so we opted for Mas Tacos. It’s about 10 minutes from the city with not much around it aside from The Pharmacy, which I hear has a killer burger, but well worth the trip. I’d go so far to say that the tacos were some of the best I’ve ever had, and I eat tacos! Also, the cuban black beans with plantains was an absolute game changer. We got the chicken taco, the beef taco, and the pork taco- and all were awesome! Greko Greek Street Food (lunch)- This was one of my favorite meals of our trips. We were invited to dine here for lunch and I am seriously SO glad we did. The food is SO fresh and is made with only the highest quality ingredients, sparing no expense. The rosè and wines are even imported! If you followed along this meal on my Instagram stories, you saw how awesome it looked. We ate a little bit of everything (for the most part), and I can’t recommend this spot for lunch or dinner. 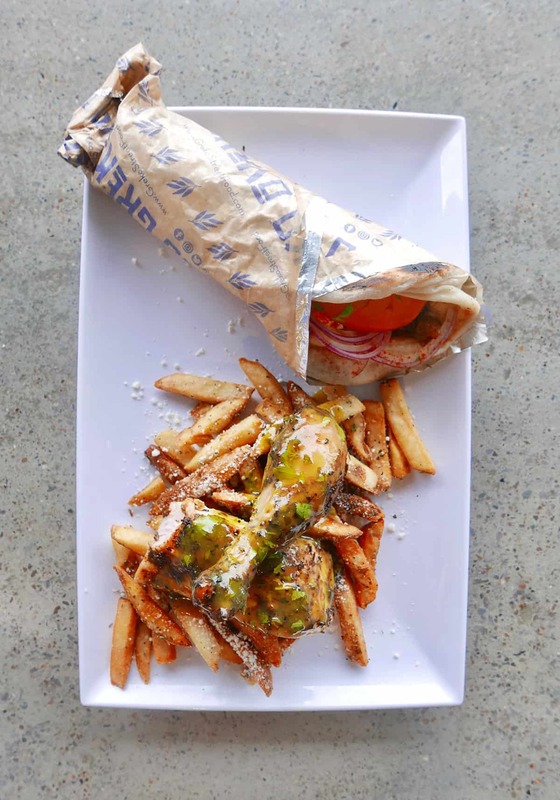 We are still craving the greek salad with their chicken. It was SO good. Their homemade frozen greek yogurt (pictured below) was an absolute game changer. 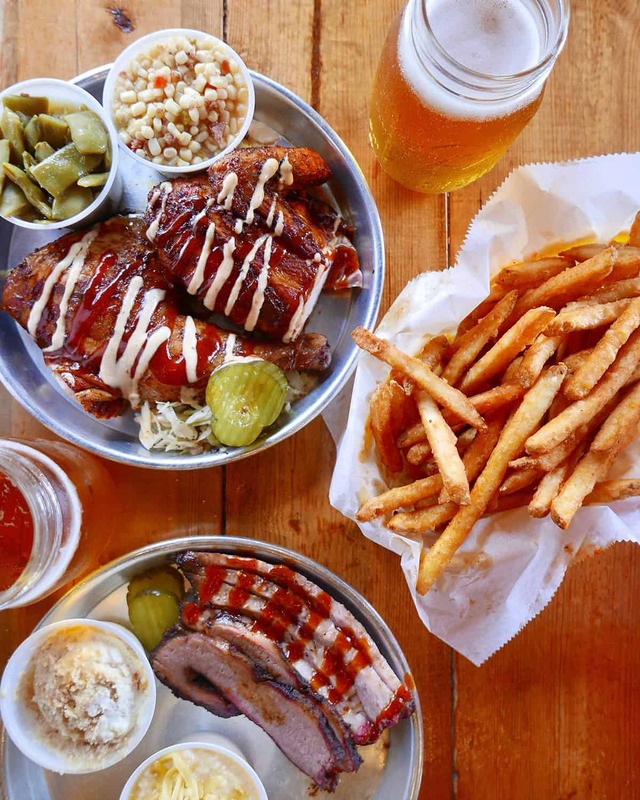 Edley’s BBQ– Edley’s was on our way back from Radnor Lake Park so we stopped in for a bite and it was DELICIOUS. The skillet corn and veggie side was delicious. Five Daughter’s Bakery– They have paleo donuts for those that need to be strict, but since I have a little flexility now-a-days, we went big and got their traditional, takes-three-days-to-make cronuts and they were life-changing. Jeni’s Ice Cream– I’ve loved Jeni’s for years now! 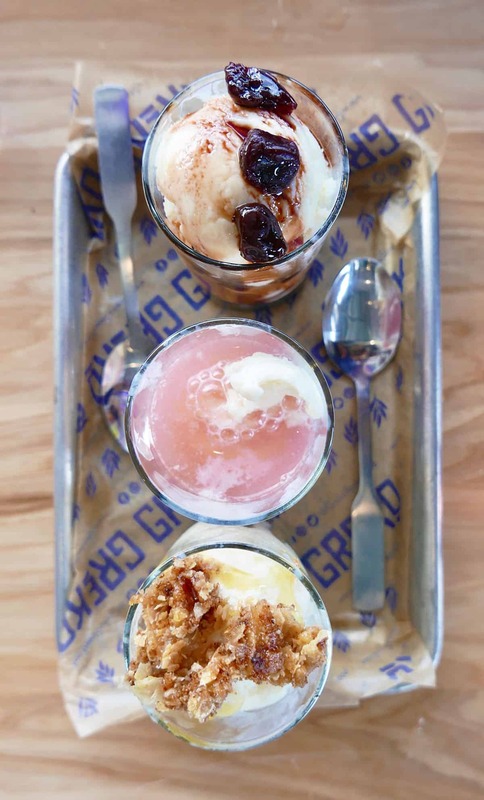 The ice cream is made with grass-fed local dairy, and they have INSANE flavors. I highly recommend it! Puckett’s– Many people told us to eat at Puckett’s for breakfast, but since we don’t really eat biscuits and waffles and things, we opted to go for some live music on Sunday night. I ordered their queso and it was the best splurge ever. It was loaded with vegetables and was actually quite light. Pinewood Social Club– Fantastic drinks and fun vibes! We also ordered some appetizers which were good, too! The Valentine– On Broadway, aka bachelor/bachelorette party mecca. We went here for rooftop music & drinks! Great live musicians and vibes. Definitely less intense than Honky Tonk or Tootsies. 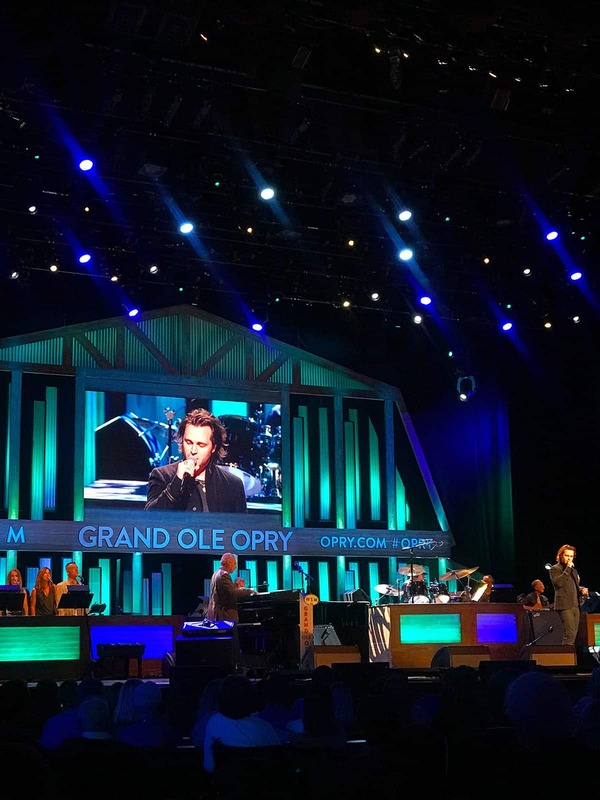 Grand Ole Opry– For a show! This was so much fun and I highly recommend going if you have time. It’s about a 20-minute drive from downtown, and the show is roughly 2 1/2 hours. Book tickets in advance! We didn’t do the tour with it but I definitely would next time. Hiking/Walking Trails at Radnor Lake Park– about 20 minutes from downtown. Beautiful lake trails, and a few more challenging paths. Also a scenic drive to the park where you get to see some big and gorgeous homes on the Brentwood line (border of Nashville and Brentwood). 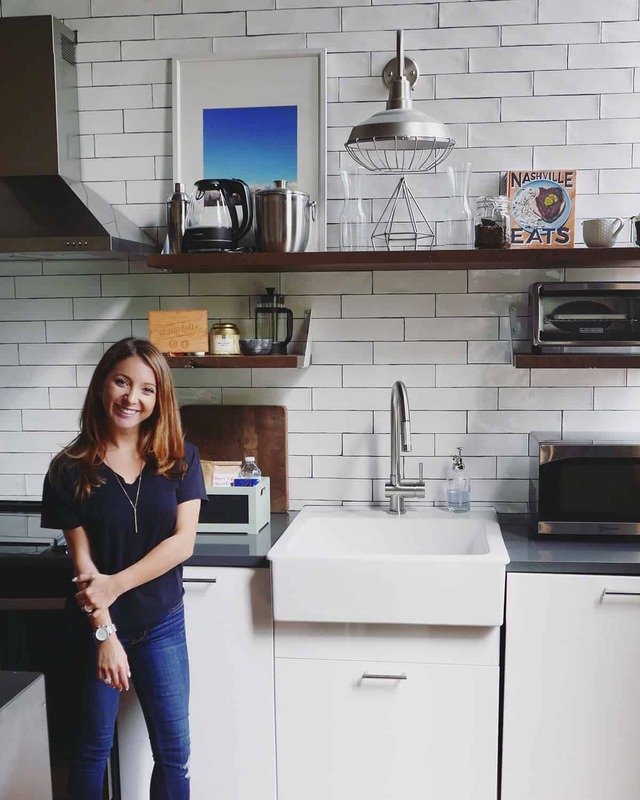 Walk around 12 South– An up-and-coming area in Nashville. It’s on the way back from Radnor Lake Park, so you can head there post-hike/walk! 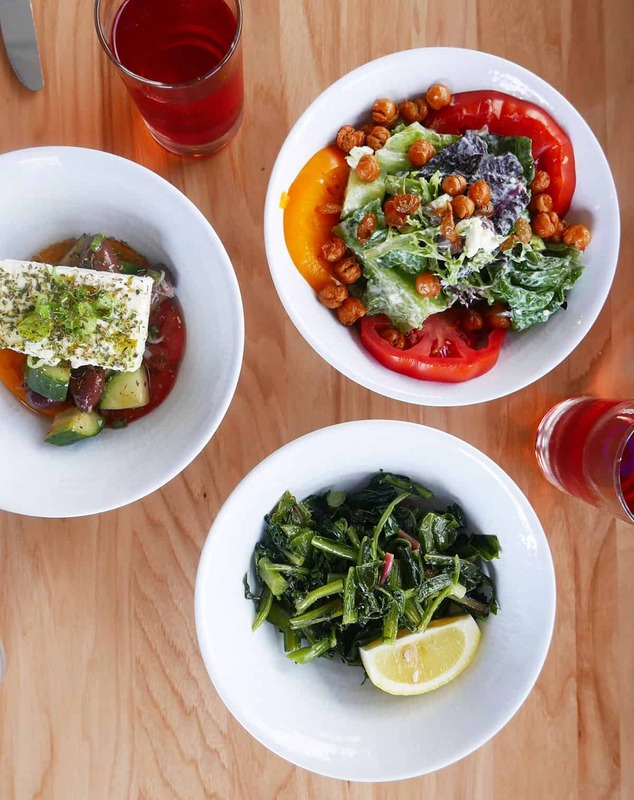 It has Eldey’s BBQ, Jeni’s Ice Cream, Five Daughter’s Bakery, Franklin’s Juice Company, and more! Centennial Park– We walked through Centennial Park on our way home from brunch at Butchertown Hall. We ended up catching an 1864-style baseball game which was really neat, and everyone was super friendly! Country Music Hall of Fame– We actually didn’t love this, but probably because we are newer to the country music scene. If you love old-school country and history, you may enjoy! Take a Photo at an Iconic Nashville Mural- The popular I believe in Nashville mural is a great touristy photo-op! It’s in 12 South right near Eldey’s BBQ, Jeni’s Ice Cream, Five Daughter’s Bakery, Franklin’s Juice Company, and more. This was not a sponsored trip, though we did receive a few discounts and a media pass for attractions around the city. All opinions are always, 100% my own! I can’t wait to go back to Nashville! Have you been to Nashville? What would you add to this list? OMG I could live at Hattie’s, good to know they have a pick up now! I have heard such amazing things about Nashville- definitely on my list of places I have to go! Your trip sounds amazing! I’ll have to add some of these places to my list! Looks so fun! I loved some of these places myself, that loft that you stayed at looks so nice! Thank you so much for the recommendations! I had the 70.3 World Champs in Choo, but we were flying from Nashville, so had a couple days to kill. Luckily, your email was published a week before our, relatively unplanned, trip. We were able to stay at the AMAZING 506 Lofts! And took advantage of as many of your, and their, recommendations we could fit in. The Ryman was rad, plus we got in a show at the Bluebird Cafe. We ate at the Frothy Monkey, Acme Feed & Seed and Puckett…I have to say you might want to add Barista Parlor to your next trip 😉 Cheers and thank you so much for all the content you GIVE out! Love it and love you! Oh my gosh that makes me so happy that you stayed at 506 Lofts!! Sounds like you crushed that trip. Thanks for the recommendations and for being here! Mas Tacos is really good, their deluxe menu covers has the most amazing to dishes to offer. In fact, I visit this place whenever i get chance.